Priya a family owned brand established 20 years ago is synonymous with innovation, creativity, craftsmanship and superior quality products. We have been using the best quality raw materials in our products to give ultimate customer satisfaction and value for money. We have an extensive range of casseroles, water jugs, tiffins and containers which have been accepted globally. FDA certified tiffins. 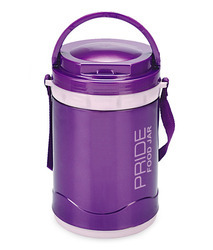 We bring forth for our clients a wide collection of Insulated Tiffins with Stainless Steel Containers. The offered products used by office goers, school children, campers and for dabba parties. All these products are stringently inspected on certain parameters of quality to rule out every possibility of defect. 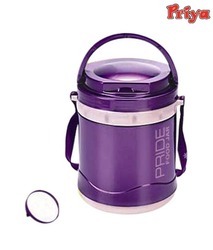 Our organization manufactures, supplies and exports a variegated range of Insulated Tiffins. These tiffins are manufactured using high quality food grade plastic, which is sourced from certified vendors of the market with the aid of our procuring agents. Available in various specifications at nominal rates, these products are in tandem with international quality standards. Backed by rich industry experience, we are manufacturing, supplying and exporting a vast variety of Insulated Tiffins. Our products keep the food fresh and hot for a longer time period. To manufacture these products, we make use of high quality plastic that is sourced from vendors of high repute. Clients can avail our range range at industry leading prices. With the help of our experienced professionals, we are able to manufacture, supply and export optimum-grade Insulated Tiffin Boxes. Latest machines and advanced technology are employed in the manufacturing process following industry set guidelines. Also, to ensure that our range is in compliance with international quality standards, these products are manufactured using high quality food grade plastic. 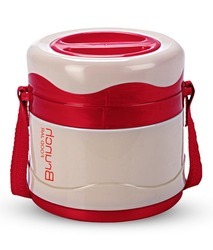 We have emerged in offering our valuable customers a wide array of Insulated Plastic Tiffins. 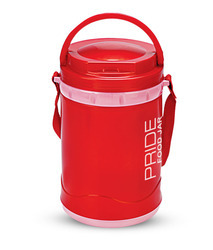 The range we offer is manufactured using finest quality plastic following industry set guidelines. 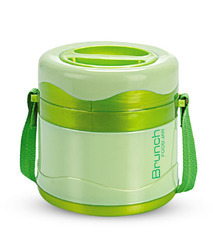 These containers keep the food fresh and hot for a longer time period. Besides, we make sure that the consignments are timely delivered at customers' destination. 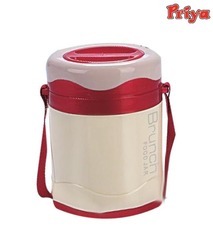 Leveraging on the support of dexterous workforce, we have become one of the leading manufacturers, suppliers and exporters of Plastic Insulated Tiffins. Demanded across national and international markets, these carriers are developed in accordance with the industry set norms and guidelines. The raw material like stainless steel and other components used in the manufacturing process is obtained from trusted vendors.